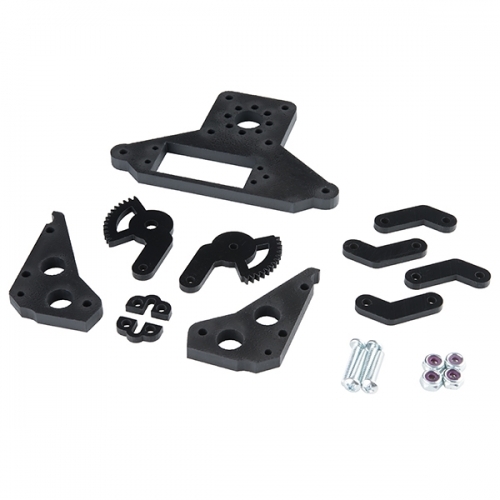 This is the Parallel Gripper Kit A, a simple and durable robotics kit that is great for "getting a grip" on pretty much any robotics project! Designed for use with any standard size Hitec servo with a 24T spline, the gripper kit is easy to assemble and requires only a Phillips Head Screwdriver. 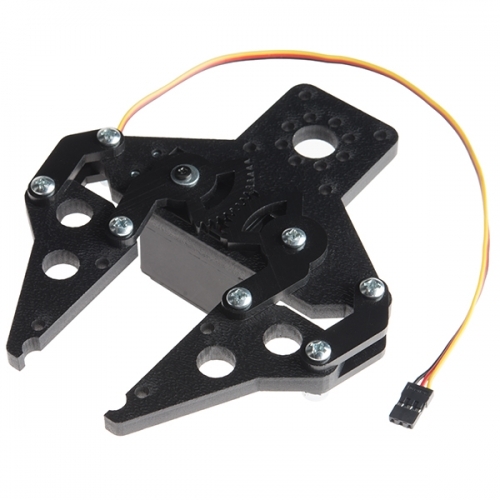 This gripper is capable of opening, in a parallel motion, 2.8" wide max, has an overall body dimension of 5" long by 4.1" wide, and offers both 0.77" and 1.5" hub patterns for easy mounting on Actobotics components.